Ebony is as black as they come with extremely high luster. His locks are solid independent to the skin and he has complete coverage and density. He is what a judge looks for as a TOTAL PACKAGE! He has more than just looks...he brings PRESENCE! A true champion, he's producing outstanding crias of dark color that display his superior Suri characteristics. Ebony has won multiple blue ribbons including 1st place at the 2003 International show in Del Mar, CA. He won the 2003 Color Champion at GWAS in Denver, Co., a level 5 AOBA show and the 2003 Color Champion at AWE in Redmond, Or., a level 4 AOBA show. Fabulous suri girl. Bloodlines of DonQuixote and Powerline. 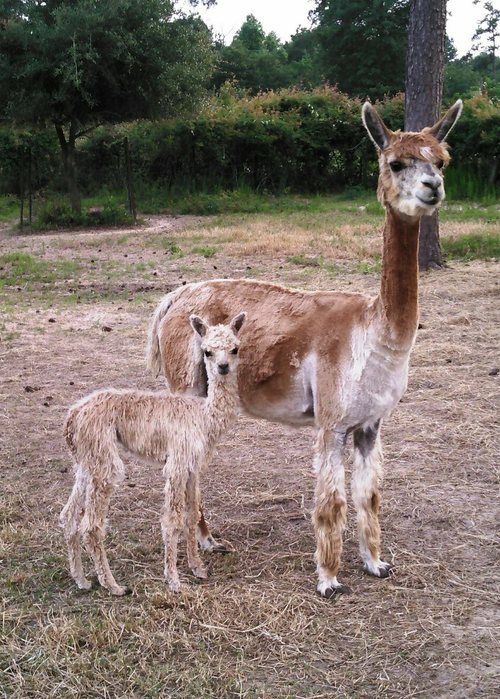 Super vicuna pattern light fawn suri girl. Easy birther. Holds condition well. Very attentive mom. Daughter of Ebony Icon, a true black male multi-champion. Her mother carries the outstanding Powerline bloodlines, as well as DonQuixote. 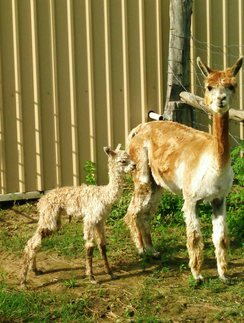 Bred to a bayblack, she produced an awesome light fawn girl in 2015 - Twirl! 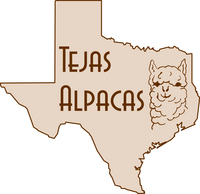 Includes breeding to any Tejas Alpacas suri male. My choices - Autobahn or go for possible appaloosa with Campion!